This biography of Robert E. Lee for young children was excerpted from Mary Stoyell Stimpson's book, A Child's Book of American Biography (1915). Add over one hundred years to Ms. Stimpson's time reference when you read it with your children. You might also enjoy reading Ulysses S. Grant: A Child's Biography. Small Robert Lee, of Virginia, aged five, was playing one day with another boy of his own age, whose mother was visiting Mrs. Lee. The Lees had lived for two centuries in the beautiful brick mansion, "Stratford," on the Potomac River. While the boys played on the veranda, there was the sound of busy feet inside the house, and an air of bustle and hurrying to and fro. Robert knew the cause of this and was feeling very happy. His father, Colonel Robert E. Lee, was coming home from Mexico, where he had done brave things in the Mexican War. The story of this had been in the papers, and though Robert had not seen his father for two years and sometimes could not remember just how he looked, he knew from the way people mentioned Colonel Lee's name that he was a man to be proud of. Small Robert had his way about the frock. His hair was freshly curled, and he rushed down to the broad hall, where the family were waiting for Colonel Lee. The lady visitor had pinned a rose in her hair, and the other little boy had been dressed in his prettiest clothes. Pretty soon there were shouts of "Here he comes—here he comes!" and they could see Colonel Lee, in a handsome uniform, riding his chestnut horse, Grace Darling. He sprang from the horse and up the steps, and when he had greeted the older ones, he sang out: "Where's my little boy—where's Robbie?" He seized the child nearest him and kissed him half a dozen times. 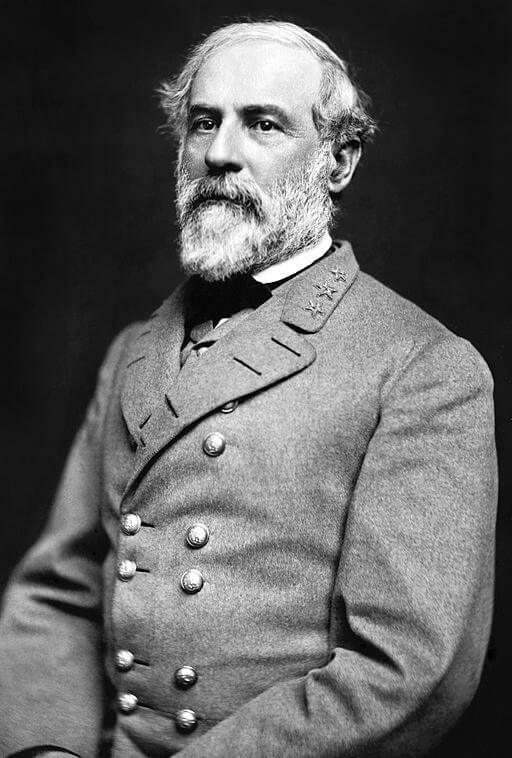 Robert E. Lee's story is featured in our collection, American Biographies for Kids. You may also enjoy visiting American History for more authors and their writings which helped shape the country.